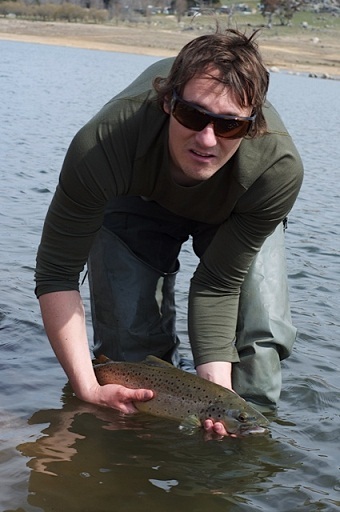 Time to start planning for the next Snowy Mountains Trout Festival to be held from the 3rd to the 9th of November. Some excellent fishing on the weekend in the lakes. Rivers are now closed to fishing but the lakes remain open year round and will continue to fish well right through winter. Rivers:- Now all closed. Re open October 2012. On lake Eucumbene it has been really good fishing once you pick the right weather for it. With the lake rising this should make the fishing a lot better. Most reports are coming through from Providence Portal, Anglers Reach, Old Adaminaby, Seven gates, Frying Pan, Buckenderra. It shows the lake is really starting to fire up and with the opening of the season we are expecting great times on the lake. I thought I’d share a story with you for your fishing report. On Sunday (9/9) I decided to go to Jocks Cove at Eucumbene to try my luck. About an hour before dark there was a huge chironomid hatch and the bay exploded with fish, many only centimetres from the bank in 20cm of water. I used a size 16 klinkhamer and targeted rising fish. The fly had to be right on the nose of the rising fish due to the abundance of naturals. The first fish caught was a monster brown of just under 9lbs, which jumped a semi-submerged fence in a 20 minute fight on 3lb tippet. Several others were pricked or mistimed in the failing light. Managed 2 others for the session, another brown and a rainbow. An awesome couple of hours of fishing. Jindabyne has been great in the mornings and there is plenty of good polaroiding opportunities now the weather is good. Searching with a B/H green Nymphs will produce a few nice ones or just wander the bank looking for fish and cast a small black woolly bugger at any fish found cruising. 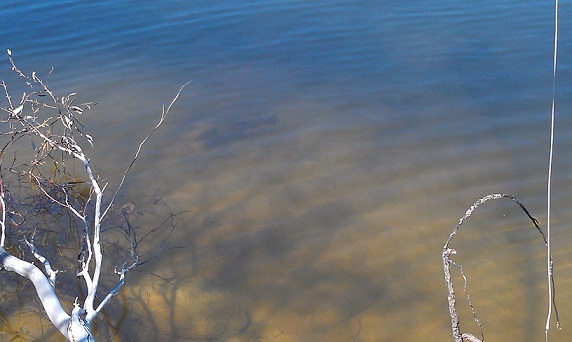 There is still a heap of weed in many of the bays with the lake still coming up . Best areas are the snowy arm, kalkite, waste point, poo bay, Best fly's woolly bugger black, B/H nymphs, remember pick your days and the fishing should be good start walking and you will see some good brown in close. Hello Mike, As promised here is a nice brown caught and Released in the Last few days of fishing the Snowy mtn, looking forward to a great season of Guiding and appreciating what we have in Australia. There are still some good fish to be caught in Jindabyne but early starts are the key to catching them. Eucumbene trolling reports have been better with some good fish to be had in many of the arms. 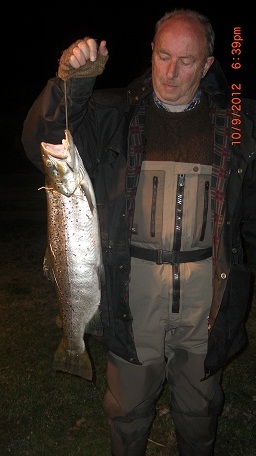 Rainbows have been on the daphnea and deep trolling in open water has accounted for some great rainbows. Tassies in 99,96,101,Y36,37,32 are excellent colours to use on these fish at present. With some good browns around the edges trolling , Strike Pro or Rapala will give you the chance at some Really good Browns. You can still run other smaller lures on on other lines to target the rainbows, but one big lure in the spread at this time of year is a great way to tangle with a once in a lifetime trout. Best areas, Coppermine, Buckenderra and Angler's Reach seven gates. 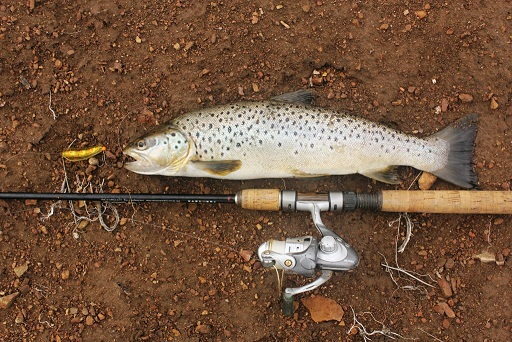 I went fishing at Eucumbene Saturday afternoon, it was pretty quiet but the highlight was this 0.98 kg brown trout that followed my lure right up to my feet on the bank and inhaled it nice and deep, I didn’t even feel the fish take the lure. He was that close to the bank that after he was hooked, he splashed about a bit and with a gentle nudge on the fishing line, he beached himself. I had another follow later in the afternoon but that fish saw me and took off. On the way home, I managed to snap up this picture of a tawny frogmouth owl on the side of the road. "it is good to see Jindy picking up some good fish"
We have had quite a few fly fisherman here over the last week with the NSW comp on this weekend it has been tough conditions but some nice trout caught the largest was from Ron who caught a fantastic brown weighing 9lb 7oz it was caught with a long green nymph I have attached the photo. Trolling has been very difficult with the weather not being very kind some strong winds did not help all ones that were caught were close to the shore and in shallow bays.. Tassie devils with pink. Off the bank it was scrub worms both rainbows and browns with the largest a brown 7lb 2oz with power bait orange and sherbert were the flavours all rainbows caught. With the lake rising again we are seeing more action closer to the bank. Hope to see you all soon at Buckenderra . The bait fishing in Eucumbene has been very good with Powerbait taking some good catches. Worms under a bubble float have come into their own now with the cooler weather Rainbows are loving Power bait and Scrubbies in the Buckenderra arm and also Seven Gates with many anglers catching their bags. Lime twist, Fl.Orange, chunky chartreuse, Rainbow candy has been the popular favourite this week gruds have been getting some good browns and rainbows. Best areas are Seven Gates, Buckenderra, Cobrabald, Wangrabelle, Homeleigh Bay and the Dam wall. Buckenderra has been fishing really well with worm and power bait and Grubs.